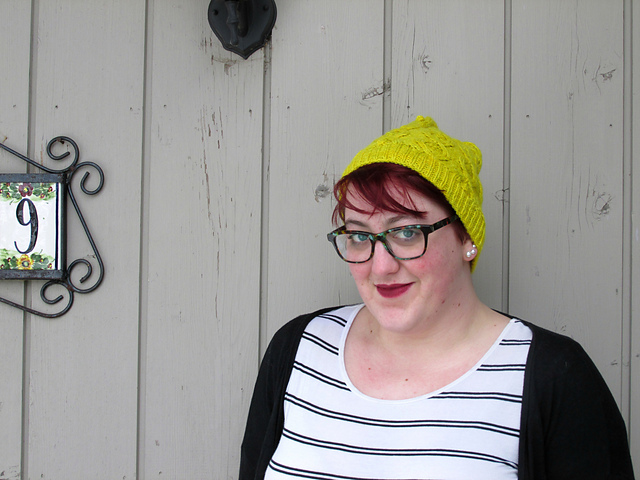 The Wayward Knitter: Friday I'm...Crocheting? I know, I know. I'm a knitter. I have, at best, a tenuous relationship with crochet. I have called crochet by some very rude names, and I have used some very rude words in its presence. What on earth could move me, someone who gets so stressed out by crochet, to break out the hook? A few weeks ago when Leah was destashing some of her old samples, I brought Mr. Squidly Big Squid into my life and home. And he's a good little buddy. But perhaps a little lonely. Cephalopods are really special, magnificent creatures, and I noticed Mr. Big Squid feeling a little out of place among Kevin the Unicorn and Turtle the Tortoise. I've had this yarn sitting in my stash for a while, and I've been struggling with what to use it for. Sometime last week, the idea popped into my head to hold all three strands together and make a giant octopus buddy for Squidly, and last night I sat down and began doing exactly that. So far I have the head and mantle finished, and I'm about halfway done the first tentacle, so sometime this weekend my cephalopod collection will increase by one and Mr. Squidly Big Squid will have a buddy. This pattern is beautiful so far. I haven't had any trouble following it, despite being an anti-crocheter (I did have to ask Google how to do a magic ring and an invisible decrease, but that was it), and looking ahead, there's a great photo tutorial for sewing all the octopus pieces together. 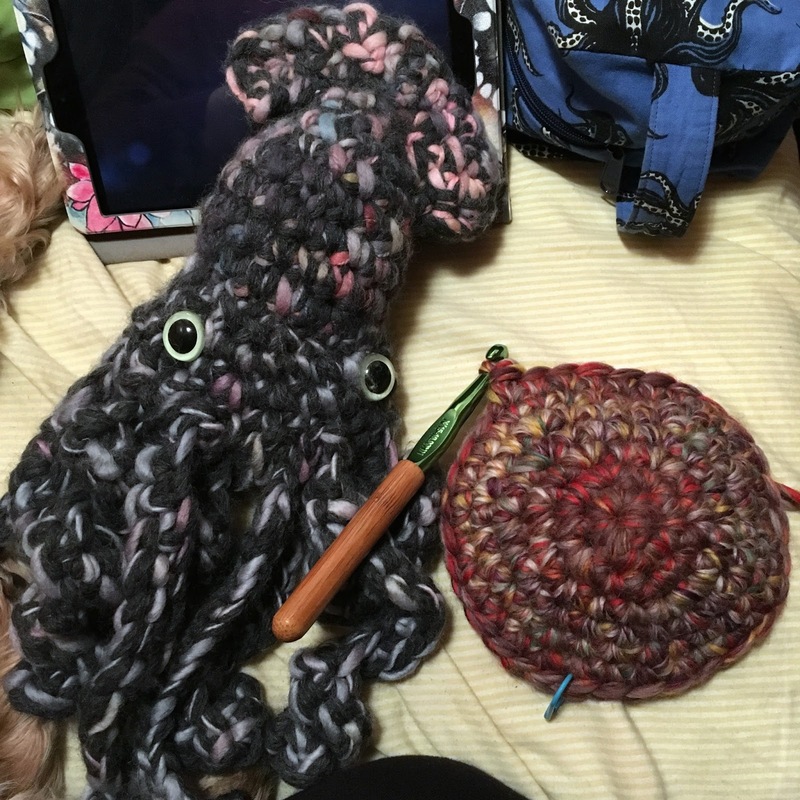 So if you're into cepholopods as much as I am, Leah's crochet patterns for Squid and Octopus are the way to go! SO EXCITING! Crochet was my first love, and while sewing and knitting sort of stole my heart away, I do love going back to it now and then. :D I can't wait to see Mr. Squidly's new friend!